John Milton Sherwood, son of Isaac Sherwood, was born in the town of Norway, Herkimer County. Isaac Sherwood moved with his family to a farm in Sennett and then into Skaneateles (1804) where he engaged in the mercantile business. It was in 1811 that Isaac started in the stage business when he joined Jason Parker of Utica. Parker ran the stage line from Utica to Manlius, and Sherwood from Manlius to Geneva. John joined his father in the stage business. He located in Auburn, his father in Skaneateles. He married in 1818 and was appointed to the NYS Militia as a Colonel, a title he carried until his death. In 1824 John and his father Isaac, Jason Parker and Thomas Powell contracted to carry the mail from Albany to Buffalo. It was a boom time for stages as commerce and travel was increasing. Sherwood & Son Company furnished horses for the great tour by General LaFayette in 1825. The opening of the Erie canal in that year didn't seem to have a negative effect of stage travel, if any it increased the stage business from hubs along the canal to population centers north and south of the ditch. When the canal closed down in winter, coach travel was the only alternative. Competition on the stage routes drew the "old liners" together to form a telegraph system of coaches, where travel from Albany to Buffalo could be achieved in just over 45 hours. Competition from a startup stage company in 1828, the Pioneer Stage Company, had the Sherwood Stage Line banned from using the Western Express Hotel in Auburn. John moved his office across the street and John with his father built the American Hotel to accommodate the stage guests and horses. The Pioneer Line was formed because some believed that business should not be transacted on the Sabbath. Pioneer ran from Monday through Saturday, and the "old liners" ran 7 days a week. The Sherwood Lines survived this challenge. 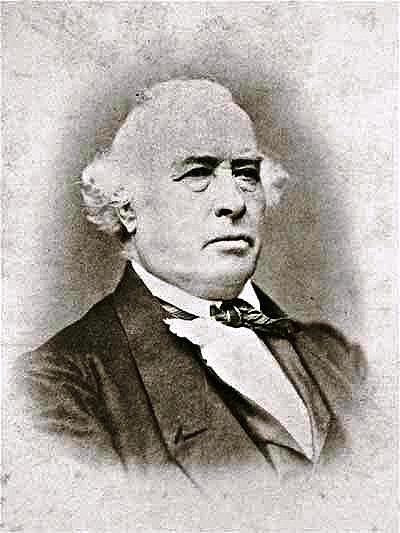 1831: One of 3 Auburn representatives at the State Railroad Convention. 1832: President of the Board of the Auburn Academy. 1835: Col. Sherwood was involved in the attempted reorganization of the Owasco Canal Company. 1835: Director of Auburn/Syracuse Railroad. 1835: Contracted to furnish horses for Auburn-Syracuse railroad first year. 1836: Director of the Auburn/Rochester Railroad. 1838: He brought TJ Kennedy to Auburn to paint stage coaches. 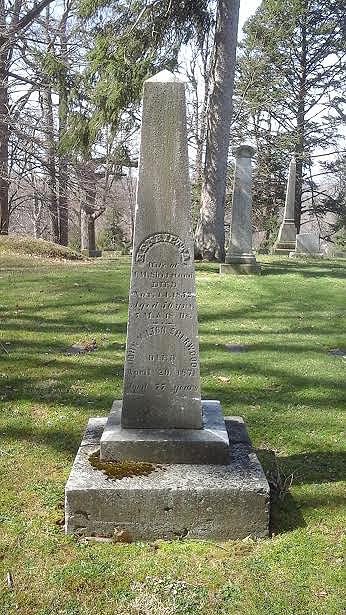 1841: His father Isaac died in Auburn, buried in Skaneateles Lake View Cemetery. 1841: Helped establish 2nd Agricultural Society of Cayuga County, served as V.P. Later served as the President. Eventually became the President of the State Agricultural Society. 1842: He retired to his farm in Auburn to breed and raise cattle. 1844: One of the players in the formation of the Cayuga Factory - Woolen Mill. 1852: Committee Member looking into formation of Ontario, Auburn and NY Railroad. 1852: His first wife Henrietta Betts Sherwood died. 1855: Married to second wife Mary A Redington. 1856: On his farm, first demonstration of Kirby Reaper, later to be manufactured by the Osborne Works. 1862: Involved in the recruitment of troops for the Civil War. After the War he moved to Phelps. 1870: He moved to Syracuse where he died. Sherwood Farm Cottage in 1857. The residence still stands on Sherwood Street, Auburn. The Sherwood family plot is located in the Cemetery's Fort Allegan section.